I make no pretense to be expositing the key verses today. These are verses where Paul is expressing his dismay about how far lost his own people, the Jews, were at the time of his preaching. I cite them today only because I understand how Paul must have felt, albeit on a smaller scale. This great sorrow and unceasing anguish in my heart is borne witness by the Holy Spirit within me. I am not lying beloved. I try as always to speak the truth in Christ. I was saved almost 13 years to the day in an Assemblies of God church. A not so reformed and non-practicing Catholic who believed in a God without realizing I was my own God. It was a good church. A Gospel preaching church. A God-fearing church. Pentecostal and charismatic without many of the abuses that often come with it. We had a great pastor. A born evangelist with a true shepherd's heart. A rare mix these days behind the pulpit. I went there that day with an equally unsaved friend and we both left that day in Christ. Within a month I was baptized and within a year I was in classes for ministerial credentials. Five years later I was a minister for the Assemblies and remained such until this month when I resigned those credentials. This technicality is irrelevant as my call was always from God and not man. 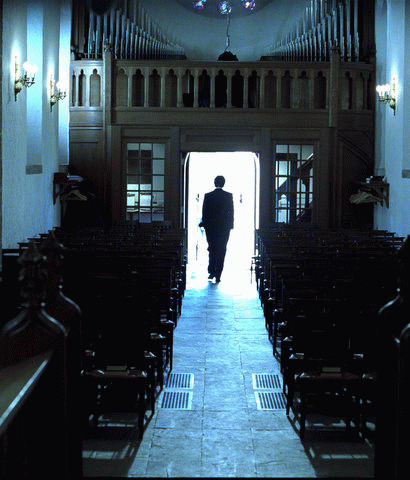 The unceasing anguish is in leaving the only church family I have ever known. In 1962 Ronald Reagan remarked as he joined the GOP that he did not leave the Democratic Party, the Democratic Party left him. That is how I feel today. I am not leaving the AG as much as the AG has already left me. Both globally and locally. My great sorrow is that the affiliation in which I learned discernment seemingly has lost theirs. The affiliation that once bravely stood up to Jimmy Swaggart now barely stands against anything. Narrow is the gate and few are those who find it. Think about that as you watch the next false teacher speaking to tens of thousands or claiming that entire swaths of people "gave their hearts to Christ." There are only two choices beloved. We are either found gathering people to the Gospel or scattering them away from it. Thus doctrine becomes our critical measuring stick. Our plumb line. Who we choose to associate with becomes critical as well. Who we loan our credibility to. I once viewed Francis Chan for example to be a solid bible preacher. Once he decided to promote the wildly heretical false prophet Mike Bickle however, his preaching was no longer relevant. Remember what Paul charged the Galatians with? (When asked about Pastors being called shepherd) - That word needs to go away." He added, "It was culturally relevant in the time of Jesus, but it's not culturally relevant anymore." - Andy Stanley (Leadership Journal, "Get-it-Done Leadership," May 2006). This began the slippery slope of growing churches but not the kingdom. The Assemblies embraced the Purpose Driven Life as well and coordinated their churches to all read it together. Something we even did at my church at the time. This is the same book that only addresses salvation one time and presents a nine word "sinner's prayer" that is followed by an absurdly presumptuous - "Welcome to the family of God!" "The Empowered21 Global Council is an esteemed group of International Christian leaders, co-chaired by George Wood and Billy Wilson. These leaders give inspirational oversight to13 Regional Cabinets across the world and seeks to provide resources to address the crucial issues faced by the Spirit-empowered church."